This is CLZ Alwin, with the last CLZ newsletter for 2013! I can happily report that 2013 was a great year for Collectorz.com, the highlight being the success of the new Cobalt versions and our new Update Plan system. What makes us even happier is that just this morning, we have sold the 15,000th Update Plan! 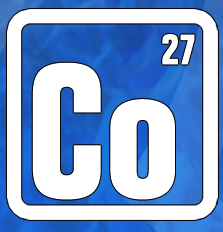 If we include the 16,000 users who received a free Cobalt license (because of a recent purchase), plus all new customers since the Cobalt release, this brings the total number of Cobalt users to 37,886 ! HOWEVER: we are still receiving a lot of questions about Cobalt and the Update Plans. So in this newsletter I’d like to try and answer the 5 most common questions. Our longtime competitor FNProgramvare (the maker of CATraxx) has ceased operations. We received loads of requests from current CATraxx users, seeking an alternative, for an import feature. We have created and released a dedicated import routine for CATraxx users, wanting to switch to Music Collector. This import feature is available in Version Cobalt.2 build 1, released today. Next to her work at Collectorz.com, CLZ Sytske also manages the Facebook page for Dierenthuis, an animal sanctuary in the Netherlands. 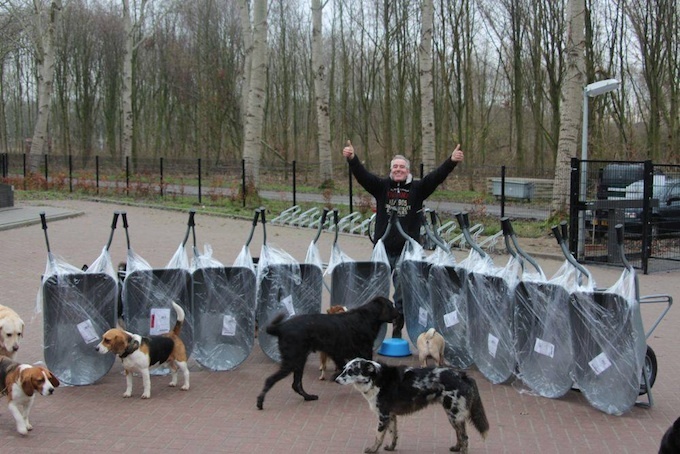 This week, it came to her attention that Dierenthuis desperately needed wheelbarrows, and lots of em. In the past week, we have had severe performance problems and even several downtime periods on one of our servers. To be specific: the problem server was the one than runs our central online databases, the CLZ Cloud, the Connect software and the Barry server. 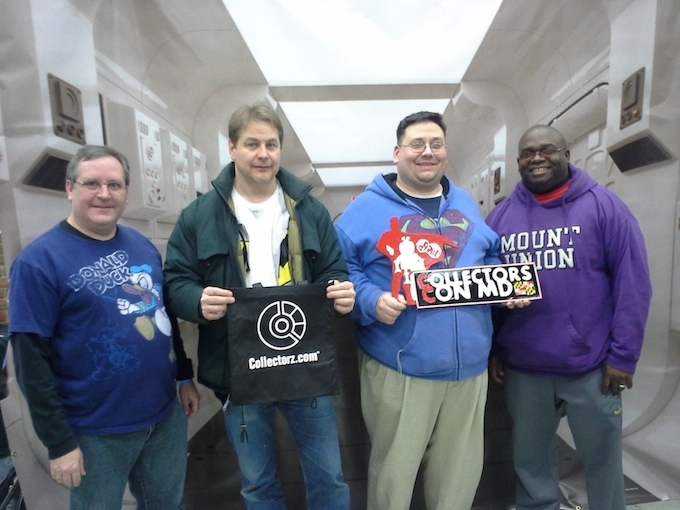 We were the goodie bag sponsor for the Collectors Con MD in Baltimore, November 23. Included in the sponsor package were 4 tickets to the show which we would not use since we’re in Amsterdam. We decided to raffle them under the early birds, waiting in a queue outside. Lo and behold, these were the lucky winners who got inside for free! Thanks guys, hope you had a great time and bought lots of stuff. 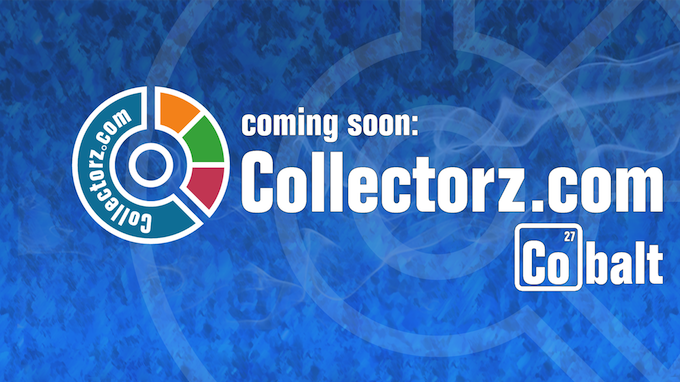 This is Alwin, with your Collectorz.com News for November 2013. At the CLZ HQ, the Cobalt craziness is slowly quieting down. Our Support guys and gal (Chris, AJ and Sytske) have everything under control again. On the development side, the advantages of the Update Plan system are already showing, with this month’s Cobalt.1 updates bringing a nice set of improvements for all PC & Mac programs and our new weekly “Maintenance Monday” resulting in faster fixes for reported problems (more details in the 1st topic of this newsletter). 3 days left in our Black Friday Sale: Get an extra Collectorz.com program half price! 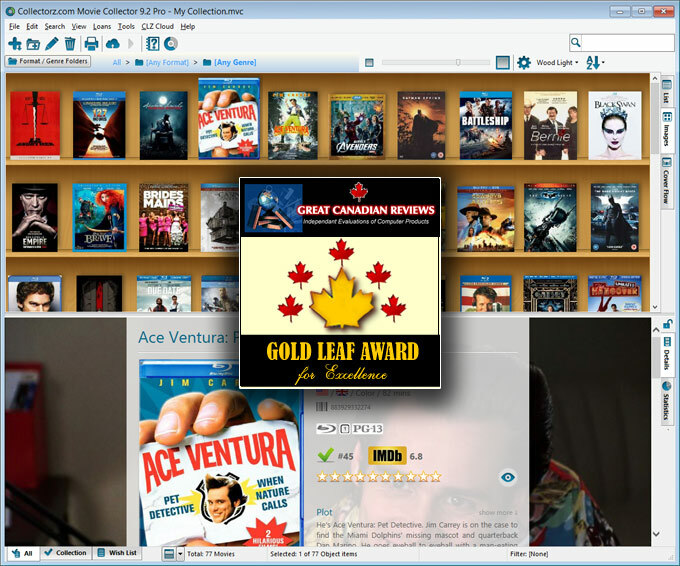 CLZ Movies 1.5 for Android is live! 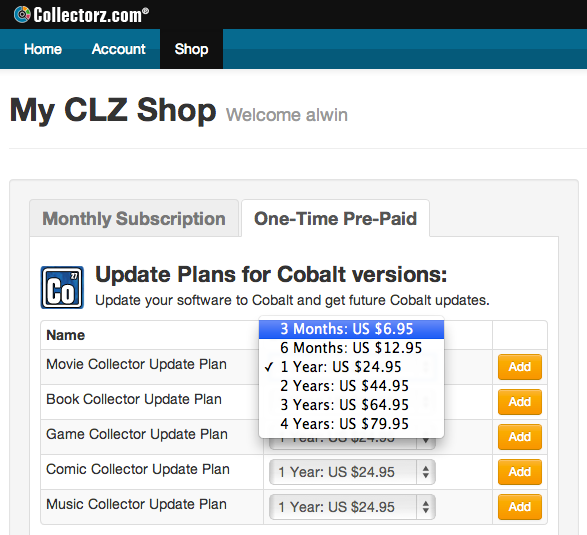 You can now update to the Cobalt version of your Collectorz.com software, whatever your current version is, for as little as US $6.95 !! Nine new Cobalt versions in one week! This time with the Collectorz.com newsletter for October 2013, the craziest month in Collectorz.com history! What a ride it was (and still is!). The past 2 months the CLZ team has been working on nine (!!) new Cobalt versions for our Windows and Mac editions and at the same time preparing our software and server-side code for the completely new Update Plan system. In the meantime, over 5,800 (!!) users have already updated to Cobalt, most of them opting to pay for their Update Plan with the new automatic monthly payments, others choosing to Pre-Pay for a year. Thank you all! It’s Cobalt Week! This week, for the first time in history, we’re going to release NINE cool new Cobalt versions of all Collectorz.com desktop editions, within ONE WEEK :-). 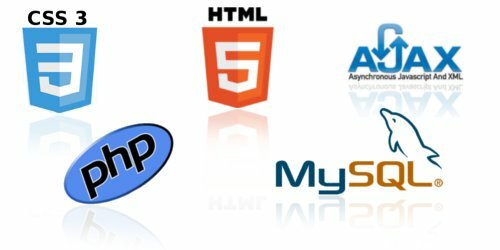 Up until now, we released a major upgrade of each program roughly every year, the upgrades costing US $25 and bringing many new features in one go. However, from now on, we will start doing more frequent and smaller updates, throughout the year, for all 5 programs and for Windows and Mac, keeping all programs and editions more in sync with each other. Next week, we’re going to release new versions of all Collectorz.com programs for Windows and Mac, called “Cobalt“. With Cobalt, we’re bringing all products to the same version level, at the same time introducing a big change to our license/update system. A change that will make your (and our) life easier and will result in better and more frequent software updates. I cannot reveal all the details yet, but I do want to make sure you’re ready for it. Please take the time to read through this entire article, it’s that important. Check your inbox for yesterday’s email about creating your CLZ account. 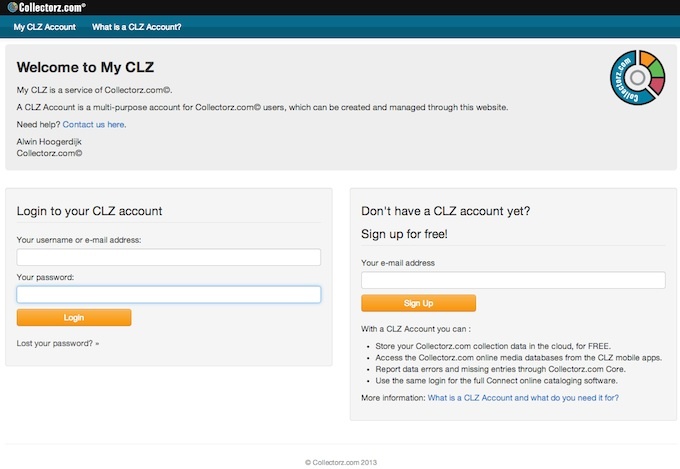 A CLZ Account is a multi-purpose account for Collectorz.com users, which can be created and managed through the My.CLZ.com website. Alwin here, with your CLZ News for September 2013. When I start writing these newsletters, I always scroll down the timeline of our Facebook page, just to remind me of everything that happened in the past month. This time however, it looked like we were just a mobile app developer, as I only found posts about iOS and Android. 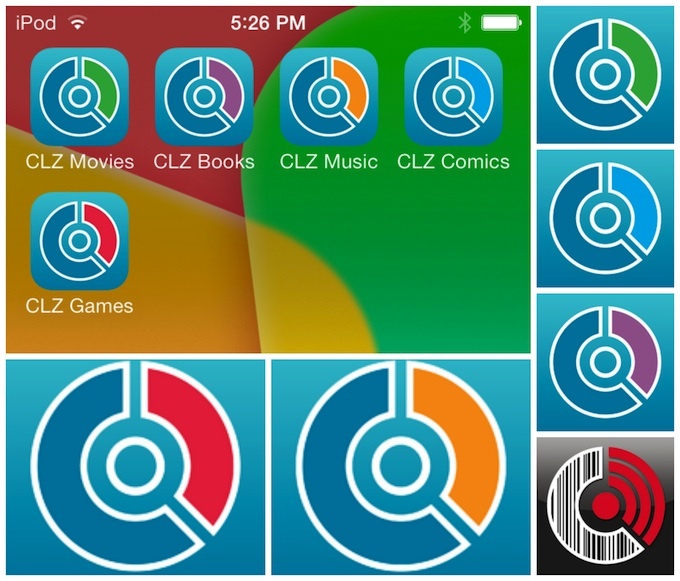 Of course, our mobile apps are a big part of Collectorz.com, especially now with the recent iOS 7 release and our big Android project. But it certainly isn’t the only thing we’re working on! What’s the CLZ team working on? This is CLZ Alwin here, with your monthly dose of Collectorz.com news. This month we released a major upgrade of “the one that started it all”. The program that I started on myself, in my spare time, back in 1996 (yes, that’s over 17 years ago!). Of course, the program I am talking about here is Music Collector for Windows. In the meantime, our lead Windows developer Ronald has taken over the programming duties on Music Collector, but still, I am very proud that my baby has just reached version 11! 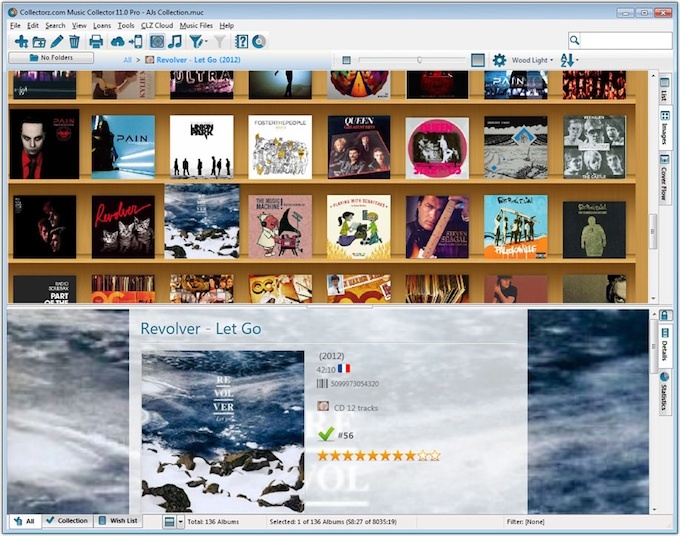 We have just released version 11 for Music Collector for Windows. July 31, so just in time for the July 2013 edition of the CLZ Newsletter. just returned from vacation or just leaving for vacation. The price of the iOS apps will go *up* next week. Get them now! But…. What about Android ???? Yes, it’s coming soon, the next major step forward for Music Collector, version 11. And if you’ve been following our news about the recent upgrades of our Movie Collector and Book Collector products, you probably already have a good idea what it will bring. Free CLZ Cloud storage & syncing for everyone! CLZ Alwin here, with the June 2013 edition of the CLZ Newsletter. 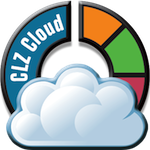 Just 3 topics today and they’re closely related, it’s all about the CLZ Cloud! CLZ Cloud storage and syncing is now free for everyone! Hectic times here at the CLZ office in Amsterdam. We’ve completed some big releases and started on a couple of huge other projects. Some of which I will disclose in this newsletter (we’re back on Android!! ), but others I have to keep quiet about for now. Let me go over these in more details (warning: it’s lllloooonnnnnggggg). Do you own an Android phone or tablet? Yes, that’s weird, with more Android devices being sold. Maybe the average Collectorz user is more likely to use iOS, maybe the average iOS user buys more apps, I don’t know. And all that time, progress on the Android editions was left at a standstill. It’s live, a big update of CLZ Barry for Android, version 1.1! 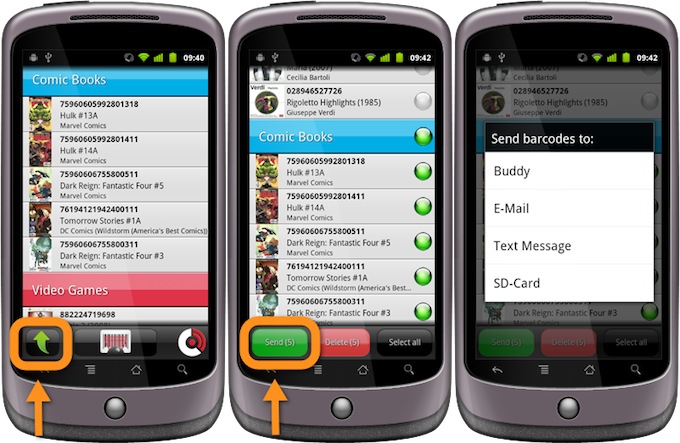 CLZ Barry is our scanner app, with built in support for Music, Movie, Book, Comic and Game Collector. Barry also works brilliantly in Connect, our online cataloging tool.